Angel: The Official Magazine #1 featuring David Boreanaz on the cover! Inside this hard to find issue are exclusive interviews with David, Joss Whedon and more! This is the hard to find Angel: The Official Movie Magazine #1 PX VARIANT EDITION! Angel: The Official Magazine #10 Newsstand Edition! Angel: The Official Magazine #10 PX VARIANT! This is the rarer version, featuring an alternate cover of Angel & Spike! Angel Featuring Buffy The Vampire Slayer: The Official Magazine #11 PX VARIANT. This is the rarer version, featuring an alternate cover! The Witch is back! The shocking truth about her children revealed, the Scarlet Witch suffers a nervous breakdown and descends into madness. 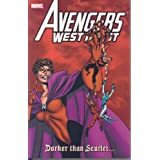 Collecting Avengers West Coast #51-57 and #60-62. A 2010 Wonder Con Exclusive! Promo poster for Iron Man 2 featuring Scarlett Johansson as the Black Widow! The Boisterious Beast! Tigra the Were-Woman! The Sensational She-Hulk! And, of course, the Amazing Spider-Man! Avengers recruitment drives brought in all of them, and it's a day unlike any other when those tales are teamed together for the first time! Collects Avengers (1963) #1, #16, #137, #151, #181, #211, #221, #300 and #329. During the Infiltration, a Skrull at the heart of Camp Hammond said these words: "It won't be long until we have a Skrull in every state!" 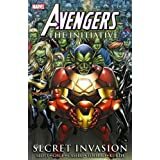 Collects Avengers: The Initiative #14-19.